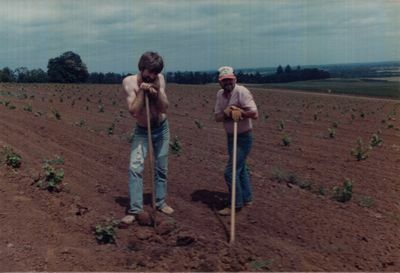 The first vines are planted at Elton Vineyards in Salem, Oregon in August of 1983. Unknown, "Elton Vineyards Planting 11" (1983). Elton Vineyards Historical Photos. Image. Submission 53.